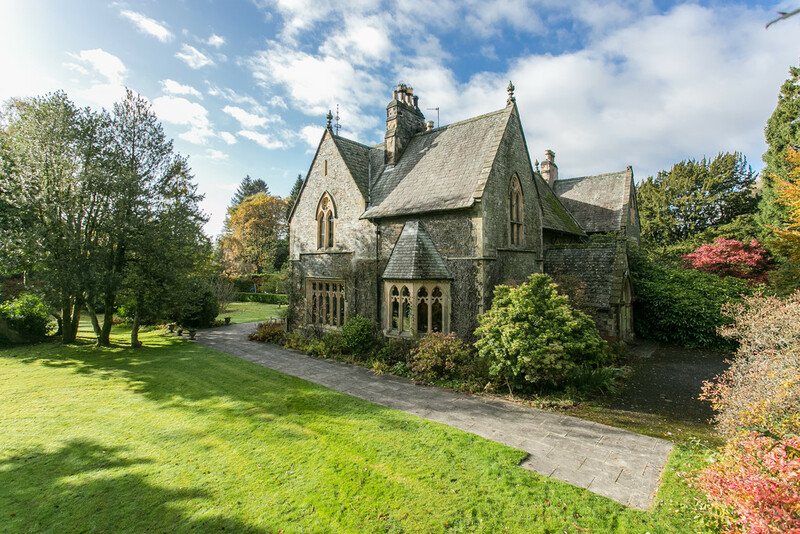 This grand stone built, Grade II listed, gothic inspired residence that is as impressive as it is unique sits just on the outskirts of Kendal town. 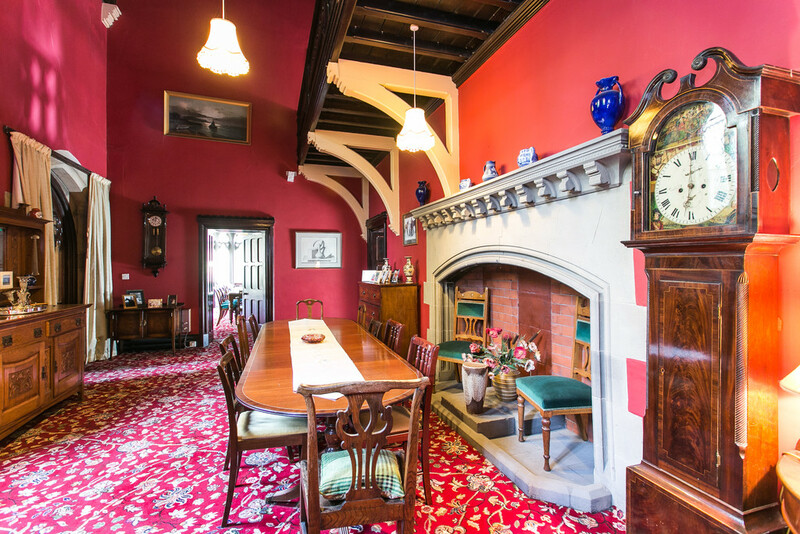 Believed to have been built in 1865 by the renowned local architect Crowther for the affluent Crewsdon Family, owners of a successful Cotton Mill in Manchester, the property has been a well loved family home for over 40 years. 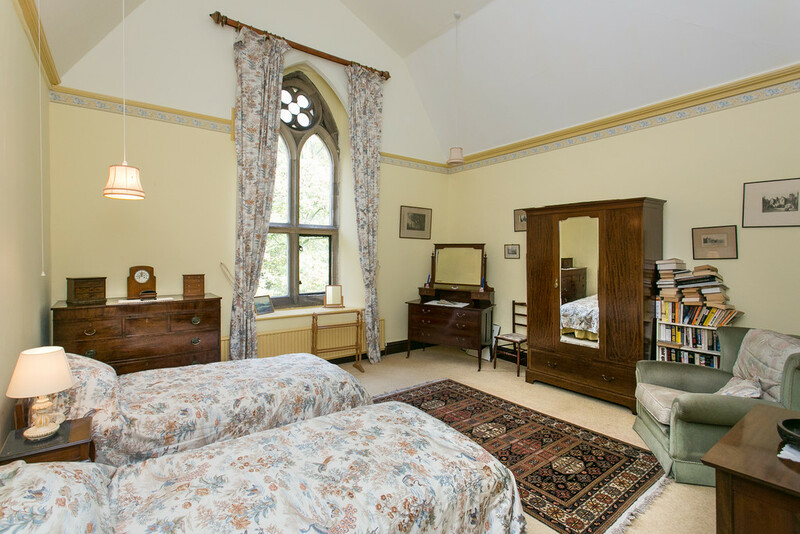 During this time it has been immaculately and sympathetically maintained so whilst in in need of some decorative renovation to suit individual taste, the wealth of rich original features typical of the gothic revival style are well preserved and a credit to the history and character of the property. 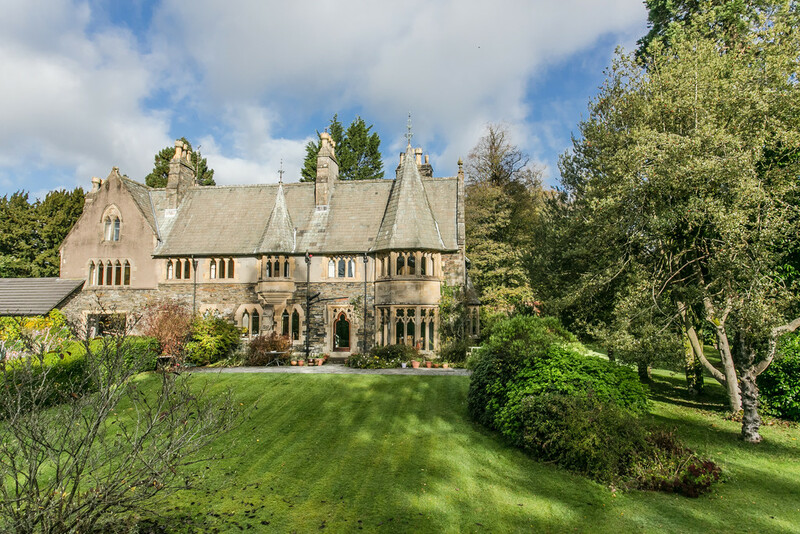 The features include striking stone mullioned windows, detailed wooden doors, cornicing, picture rails, fireplaces and most impressive of all, the Minstrel galleried staircase. 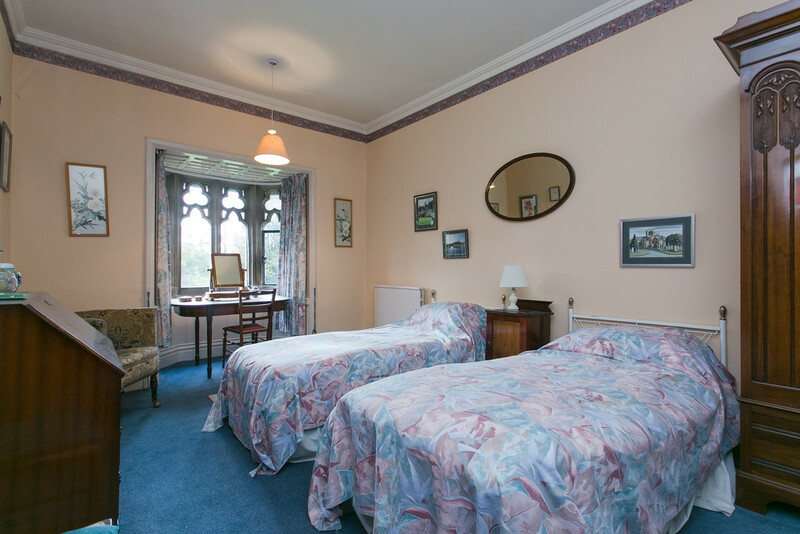 The accommodation, briefly, comprises three reception rooms, breakfast kitchen, two bathrooms and three double bedrooms. Parklands is enveloped by grounds amounting to approximately 1.5 acres that includes a large manicured lawn, surrounded by tall hedges for added privacy, and a woodland area. Parklands is located just East of Kendal town centre. 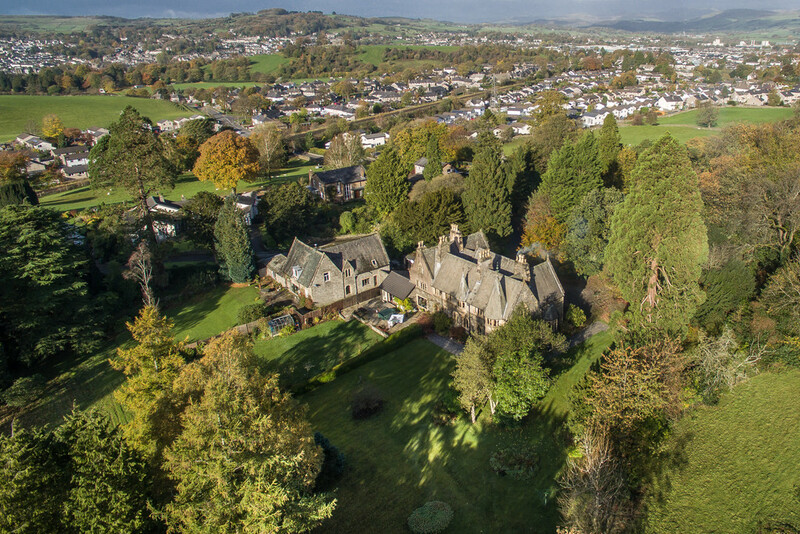 Known as the Southern gateway to The Lake District, Kendal is a popular market town that enjoys the best of both worlds; that of a bustling centre with a thriving high street yet surrounded by rolling countryside. 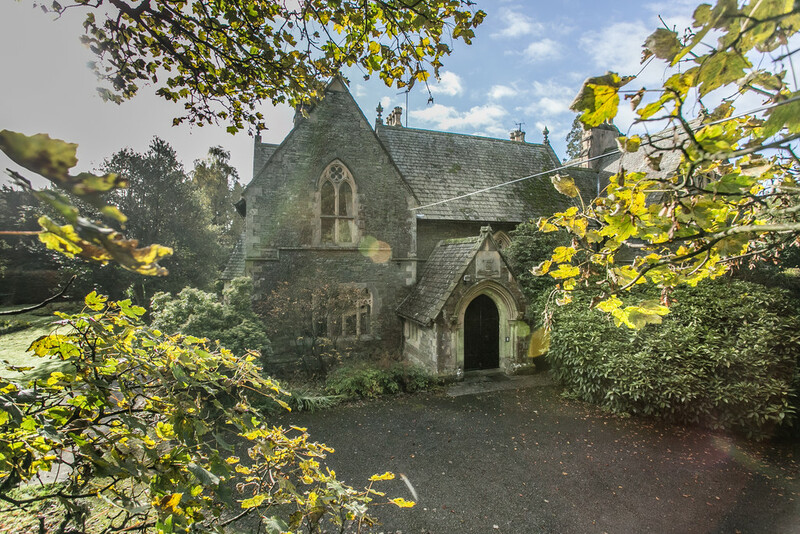 The property is ideally placed to take advantage of the many local amenities and facilities including independent shops, bistros and restaurants, museums, arts centre, and leisure centre. Kendal castle is a short walk away. Essential services including doctors, dentists, hospital and supermarkets are all close by. Good schooling can be found at primary and secondary levels within the area. Oxenholme train station, on the West Coast mainline, with frequent direct services to London, Manchester and north to Carlisle and Scotland is a short drive from the property. Access to the, A6, A684, and A591 are all within a 5 minute drive; and M6 access approximately 15 minutes away. A private drive leads to the front of this imposing property, allowing for plentiful parking. 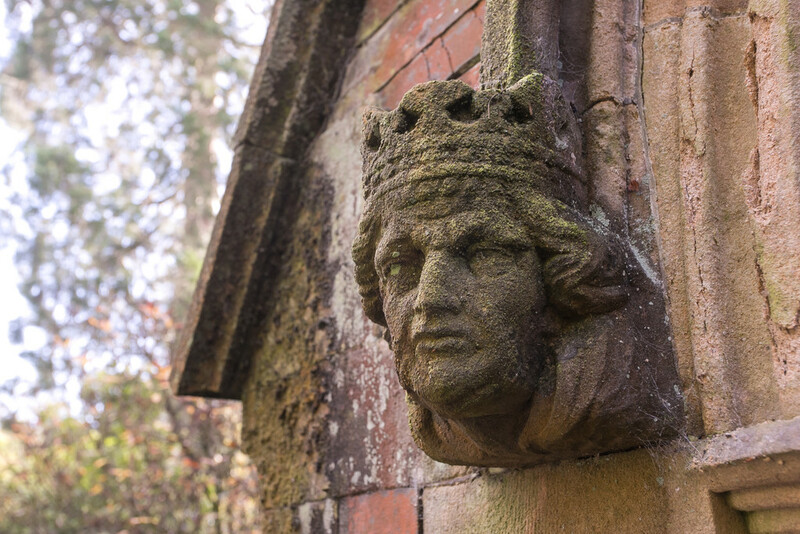 In true gothic revival style, the exterior is a mix of impressive stone work, pointed arch mullioned windows and doors and character features such as the gargoyles of the portico guarding the imposing arch framed, church style wooden entrance door. This opens into a useful and attractive porch area with original minton tiled floor. The porch leads to the magnificent reception hall that perfectly sets the tone of the property with an impressive vaulted ceiling and Minstrel gallery landing. The large original stone fireplace has been retained and you get the first glimpse of the deep skirting, intricate cornicing and detailed wooden doors and frames found throughout the property. 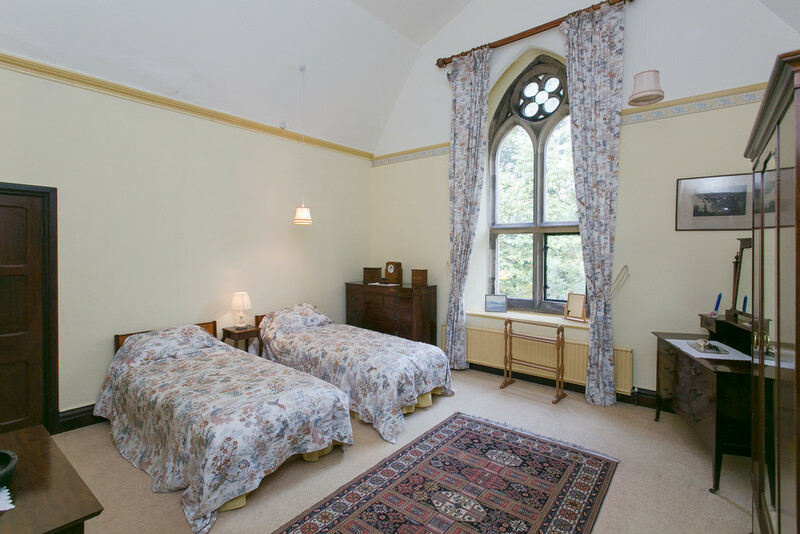 The tall stone mullioned windows are as high as the Minstrel gallery, allowing for natural light. There is also a concealed trap door that leads to an under storage area. 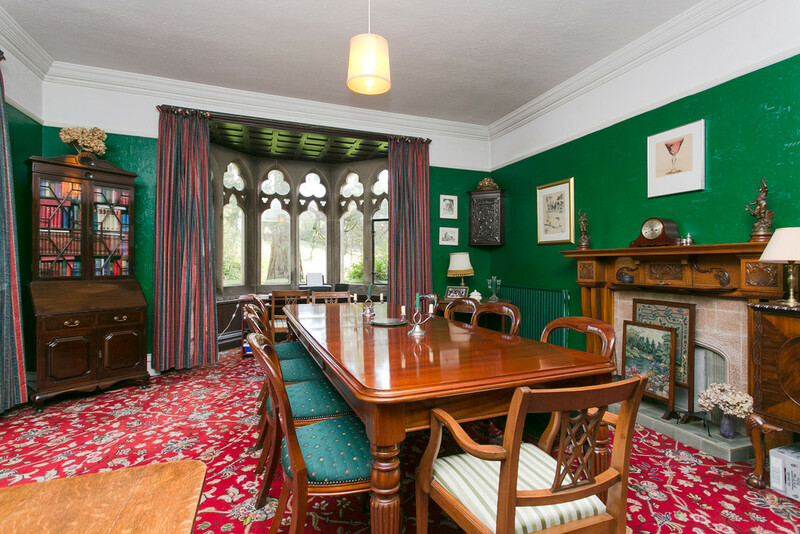 The dining room enjoys a dual aspect: via a bay window looking on to the side garden and windows to the front. There is ample space for dining and an attractive decorative fireplace. 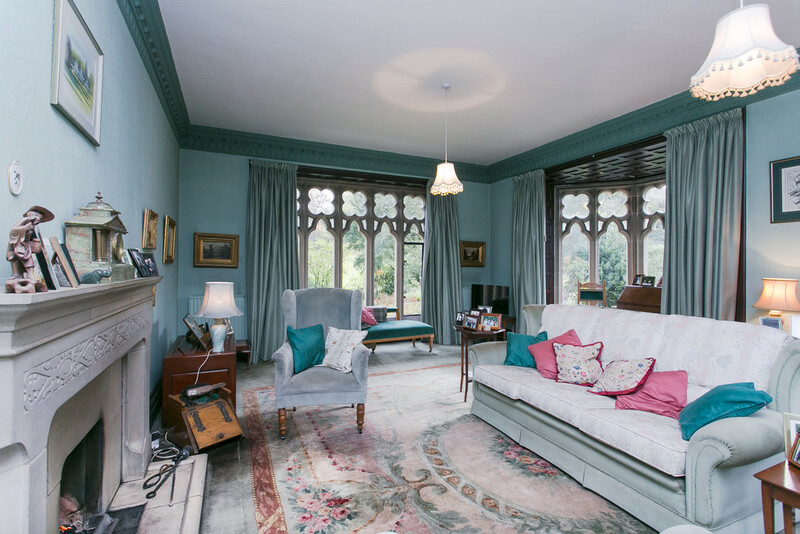 The impressive drawing room has grand proportions, detailed cornicing work and boasts a dual aspect to the lawns and to the side. There is a tall stone mullioned bay window overlooking the manicured lawn, with external access afforded onto the patio via a French window. The open fire surrounded by an original stone fireplace and hearth is ideal for the winter months. The well fitted kitchen comes complete with floor and wall units and is spacious enough for family dining in a more informal setting. 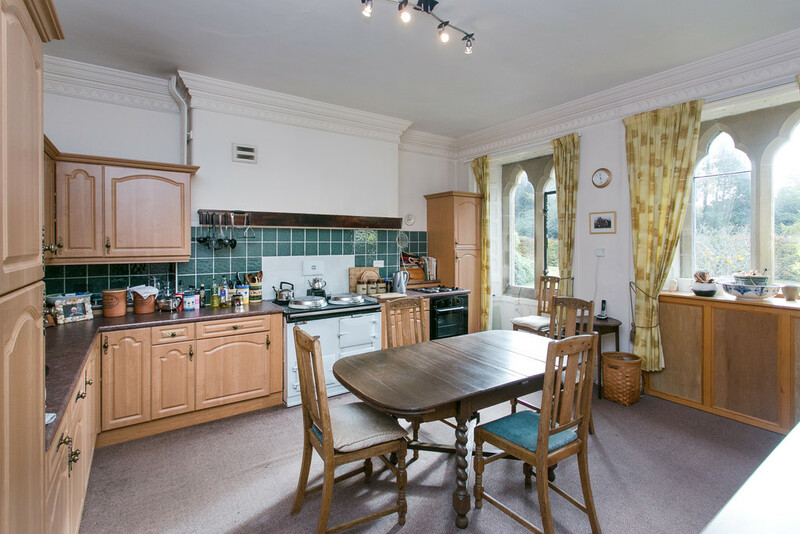 There is an oil fired AGA with 2 ovens, an electric cooker with hob and oven, as well as a fridge and freezer. 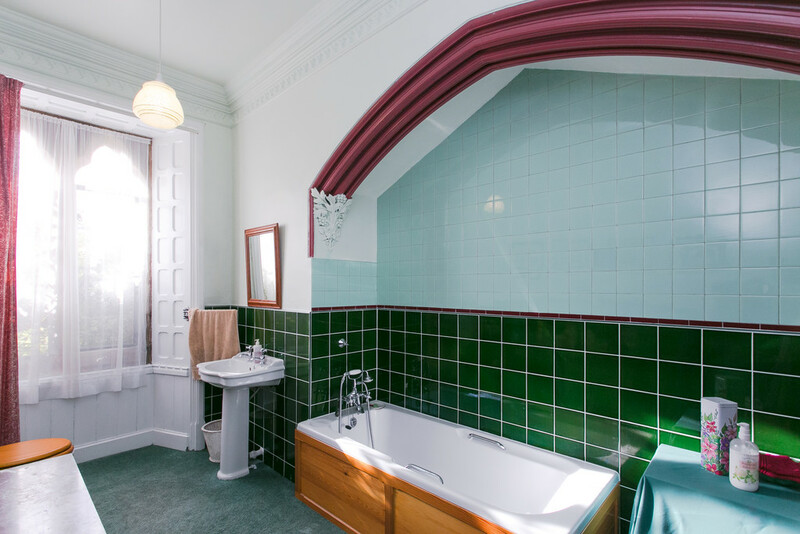 Next to the kitchen there is a well proportioned bathroom, which would have formerly been a part of the kitchen, with an ornate arch that would have once housed the inglenook and range, now contains the bath. 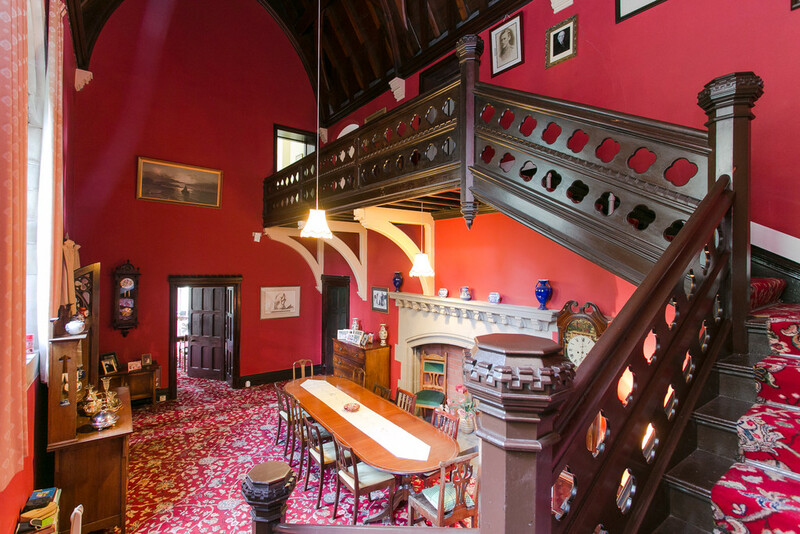 The handsome detailed staircase leads up from the grand reception hall to the Minstrel gallery landing. 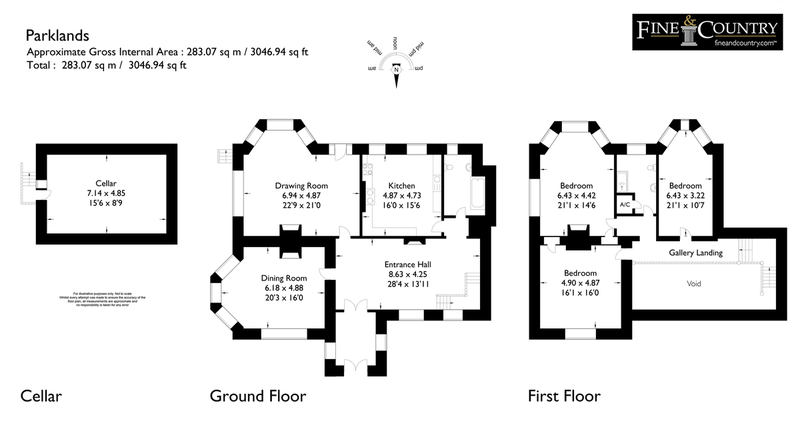 Each of the three double bedrooms is generously proportioned and offers completely unique character. 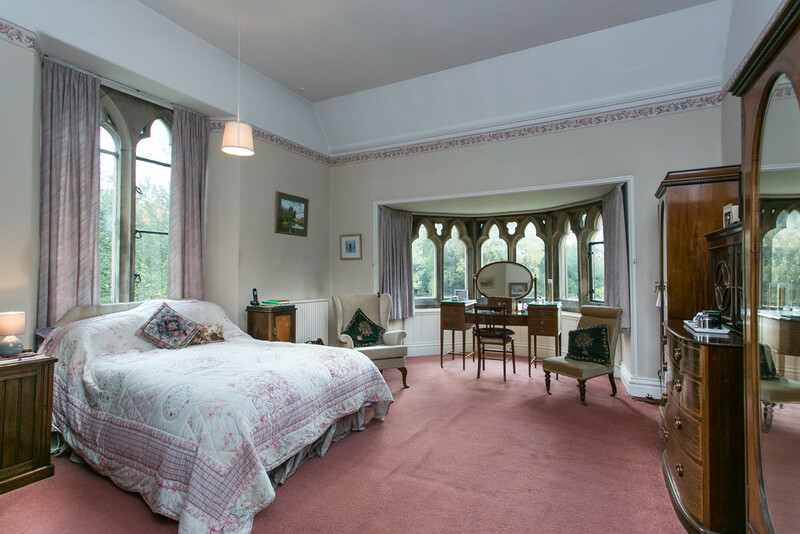 The master bedroom with its cosy open fire, lovely dual aspect and bay window overlooking the gardens; bedroom two, again with a bay of stone mullioned windows overlooking the formal lawns; and bedroom three, has a vaulted ceiling, tall windows and a front aspect. 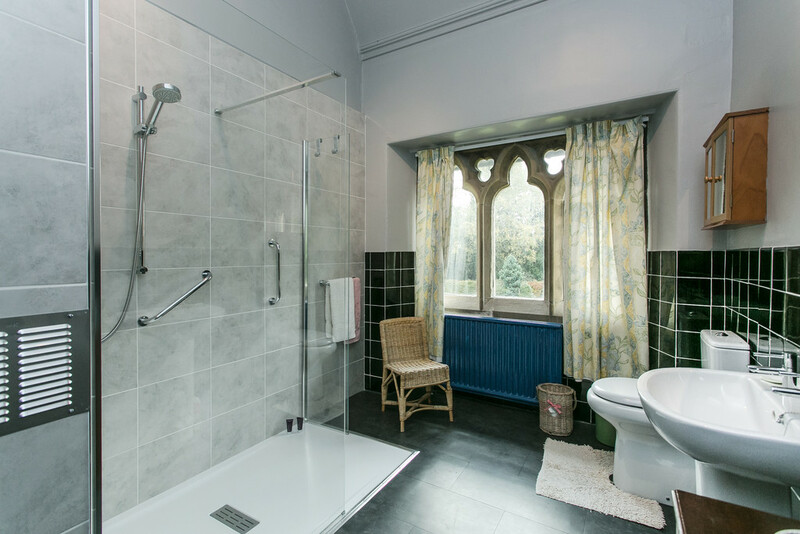 The family bathroom on the first floor was renovated in 2017 to include a double walk in shower, complementary 1/2 tiling, heated towel rail, and a very useful airing cupboard. There is ample storage across the property including a loft space and an externally accessed cellar. 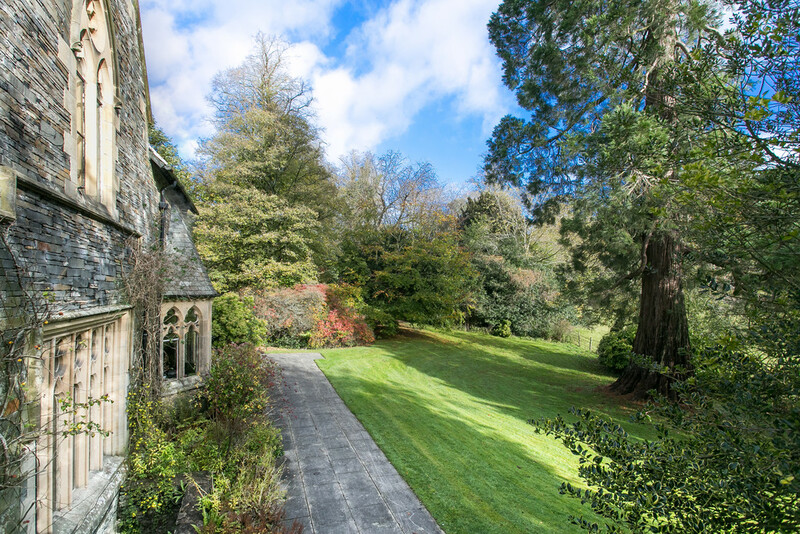 The grounds of Parklands amount to approximately 1 .5 acres to include a private drive; large formal lawn area with a patio; and woodland. Overall, they are ideal for families to enjoy and young children to safely explore. 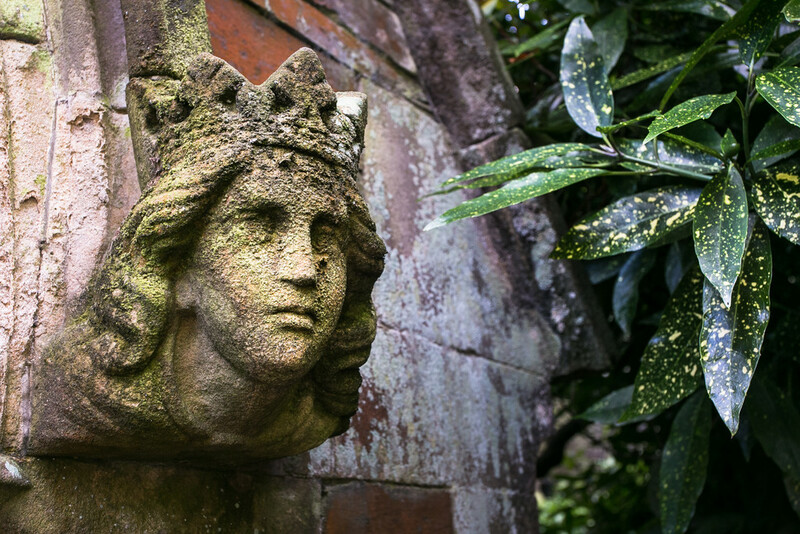 Ancient trees and shrubbery beds are scattered across the gardens creating a haven for wildlife and providing relatively low maintenance yet still offering scope for those with a deeper interest in gardening. DIRECTIONS Parklands can be found from K Village by way of proceeding up Parkside Road, continuing under the railway bridge and at the top of the hill just before the junction with Sedbergh Road take the right turning by the Lodge Cottage. Follow the private drive around to the left and Parklands is the far property.